Flipkart is now selling this space to the companies with a promise to give them benefit of “priority” seller status, according to the three top level executives of Fashion Brands. Flipkart, one of the ecommerce giants, is hawking the warehouse space earlier occupied by WS Retail that once accounted for close to 80% of total sales on the Flipkart online platform. Flipkart is now selling this space to the companies with a promise to give them benefit of “priority” seller status, according to the three top level executives of Fashion Brands. Meanwhile, a Flipkart executive said that the warehouse space is owned by eKart, the company’s logistics arm. 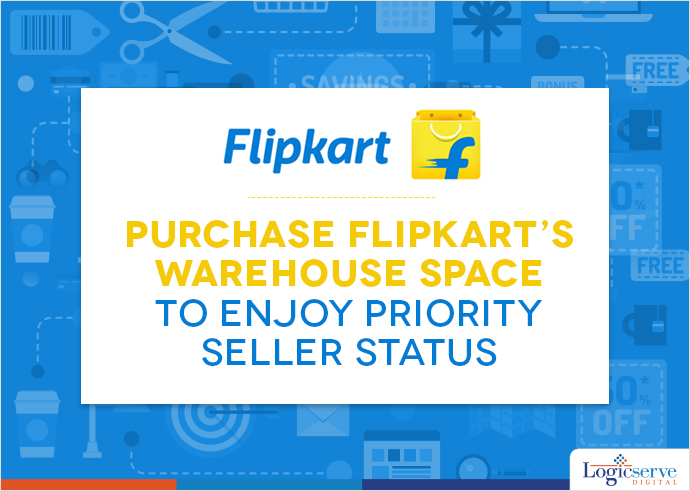 Now that Flipkart has cut its reliance on WS Retail, the warehouse space is vacant. The space was initially part-owned by Binny Bansal and Sachin Bansal, Flipkart’s founders. In 2012, the Bansals resigned from its board after selling their stake. However, WS Retail continued to be the top seller by jumping its turnover by three times in 2014 to Rs. 10,163 Crore – above the combined sales of Shoppers stop, Pantaloons, Trent and Future lifestyle, the top offline retailers. Now the Flipkart sales have shrunk. Several top executives said that by enrolling large third-party vendors, Flipkart is making efforts to fill the vacuum created by the WS Retail. Quite a substantial space has been left vacant by WS retail. According to eKart spokesperson, the warehouse is expanded to 1.5 million square feet.